Initially founded in Denmark as a graphic design studio in 2005, the ferm LIVING kids offering rapidly grew to include unique design products for every home. In February 2006, designer Trine Andersen launched her first ferm LIVING kids wallpaper. This was followed by décor accessories, wall stickers, products for the bathroom and kitchen, textiles and a large collection for kids. The graphical designs are based on modern Nordic style with a touch of retro charm. 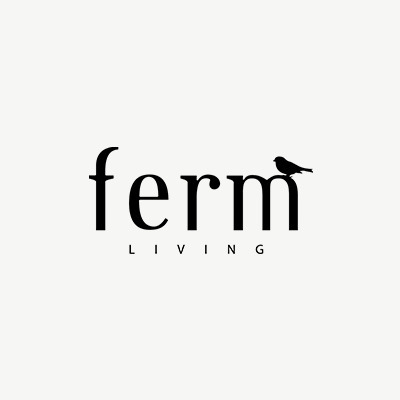 Wherever possible, ferm LIVING kids uses natural and sustainable materials such as organic cotton, recycled paper and wood. The unusual wallpaper designs and wall stickers from ferm LIVING kids are especially popular and give babies’ and kids’ rooms a whole new look. The wall stickers for kids’ rooms are available in many colors and designs, e.g. mini triangles, dots, stars and clouds, and make redecorating walls incredibly easy. The wallpaper featuring clouds, cars and landscape patterns are also easy to install thanks to the special quality of the paper and give your child’s room an individual look. The textiles and cushions designed by Trine Andersen also reflect Nordic design elements. She uses not only graphical prints inspired by the Scandinavian landscape but also special cushion shapes such as the ones for Little Ms. Rabbit and Little Mr. Teddy. Kids’ room décor such as lamps and garlands as well as tents, cushions and bedding – all the product designs from ferm LIVING kids add Scandinavian dream décor to any home. The ferm LIVING kids collection is now available at littlehipstar.In our store, you’ll find plenty of kids’ room décor from Scandinavian, European and other designers from around the world!